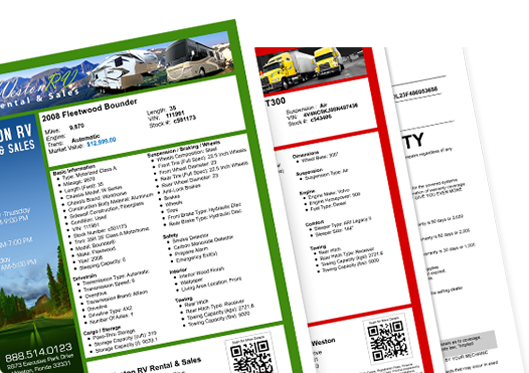 Custom stickers displaying detailed vehicle information are at your fingertips with Auction123’s Window Sticker and Buyers Guide creation solutions. Our Graphics team will work to deliver a custom branded sticker designed to convey the perfect look and message for your dealership. 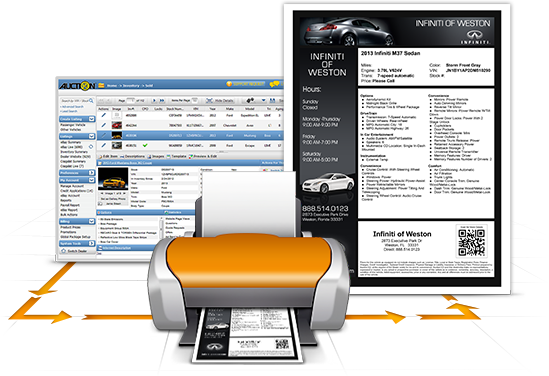 Enjoy the convenience of printing window labels whenever you need to from your Auction123 Dashboard. All stickers print onto blank adhesives, so you can alter your label design without the costly waste of replacing preprinted label stock. As a Preferred Partner of CARFAX, Auction123 provides dealers with a tightly integrated solution for their window stickers. CARFAX branded stickers can be printed for any vehicle in your inventory that has a CARFAX Report. Your shoppers can review highlights from the CARFAX Vehicle History Report directly on the vehicles’ window labels. 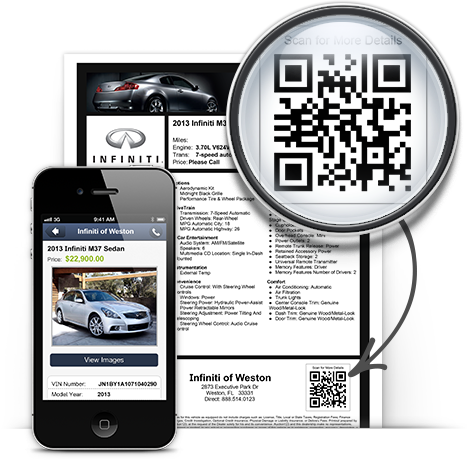 QR codes are popping up everywhere offering consumers a way to download and save information to their mobile devices. The Auction123 window sticker with QR code integration allows your shoppers to easily view a mobile friendly version of the vehicles they are interested in for later review of images, descriptions, and vehicle details.